If You’ve Raised Kids, You Can Manage Anything by Ann Crittenden was written some years ago to show that parenting skills translate to job skills. Each person should self-evaluate his or her own parenting to glean the job lessons from teaching, discipline, and feeding their child. I wholeheartedly subscribe to this not only in theory, but also as a participant and a witness. Parents that take the high road here benefit the most because employers do not need to glean that you speak to subordinates or anyone like a child. A demonstration of a diplomatic approach always works without screaming, or yelling comes across better. Cooking, cleaning, and helping with arithmetic is no joke. Display your tenacity by sharing how you toggle between home applications (as they were software applications). Show employers how planning is a skill in coordinating your children’s events, activities, and academics. Concentrate on how these relationships produced invaluable projects and processes in the Parent-Teacher world. To show that you can establish partnerships with others translates in building partnerships. Since technology is constantly changing personal communication, and the way you conduct business, and demonstrate the way you monitor your child’s use of online tools on the Internet. Have you used Excel and Access for budgeting? How about writing school letters and business correspondence. Have you balanced your bank and household accounts using Excel? These are hard skills that have project management elements. Don’t expect any of these to land you an office of your own, but you can position these as relevant skills in most cases. Put yourself in the shoes of a young mother, working hard to succeed in her corporate job. She dreams of a college education for her six-year-old son, a career with high earning potential and benefits. But then the little boy announces that he wants to be a garbage collector when he grows up. What would you do? Would you say, “Don’t be silly” or “You can’t be that”? Would you laugh and shake your head? These reactions will communicate that there are right and wrong answers to the “What do you want to be?” question, and they can steer the children you love away from their talents and interests. Study after study tells us that over 50% of Americans dislike or disengaged from their jobs. The knock-on effect is huge – stress related illness, high absenteeism, low morale, road rage, etc. And our kids are watching. When their career dreams fade, they’ll start to see work not as a way to share their gifts with the world, but as a necessary evil of life. But certainly, you don’t want your children to grow up with a life motto of “T.G.I.F.” As a parent, you have the opportunity to see beyond the surface of their naïve career declarations. 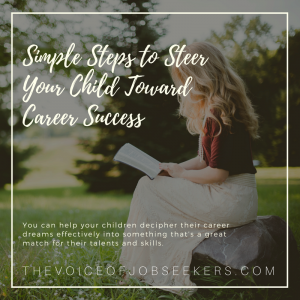 You can help your children decipher their career dreams effectively into something that’s a great match for their talents and skills. Since you’re actively pouring your life into your children, the thought of any of them in a career that doesn’t match your standards can understandably cause stress, usually resulting in a hasty response that shuts down the child’s dream. Take a step back and try to assess the child’s statement with less emotional attachment. Our potential garbage collector made his career announcement in the midst of busy family life. Despite that, try to respond more openly to the idea, asking questions like, “What part of being a garbage collector do you think you’d like?” That’s when you may discover the main attraction. Maybe it’s primarily the truck, an interest in the variety of things people throw away, the chance to travel around town, or the ability to provide a helpful service to people. From there, you can discuss other jobs that have similar aspects (minus the stench). You may have had a few years in a job that wasn’t a great fit for you. Maybe you can look back to your childhood and see where you made a wrong turn when you entered the job market. Or perhaps you’ve been fortunate to have years in a job that was a great fit for you. With your perspective, you can see the skills and interests of your kids. You can understand how much better it would be to apply those skills and interests in their day-to-day work as adults. So be sure to keep your eyes open for the talents and areas of giftedness in each of your children. Encourage discussion when they share dreams of their future. And as they grow older, be sure to point out what you’ve seen over the years—their desires, their talents, their achievements, and the positive attributes they bring to the world. Your insight can help propel them into a career that’s a perfect match. Karleen Tauszik is the author of eleven books for children, ages 8 to 12. The goal of her latest book, the career possibility journal titled When I Grow Up, I Want To Be… is to change the current dismal job satisfaction statistics for the next generation. The goal of her fiction books is to get kids to LOVE reading. Learn more at KarleenT.com. 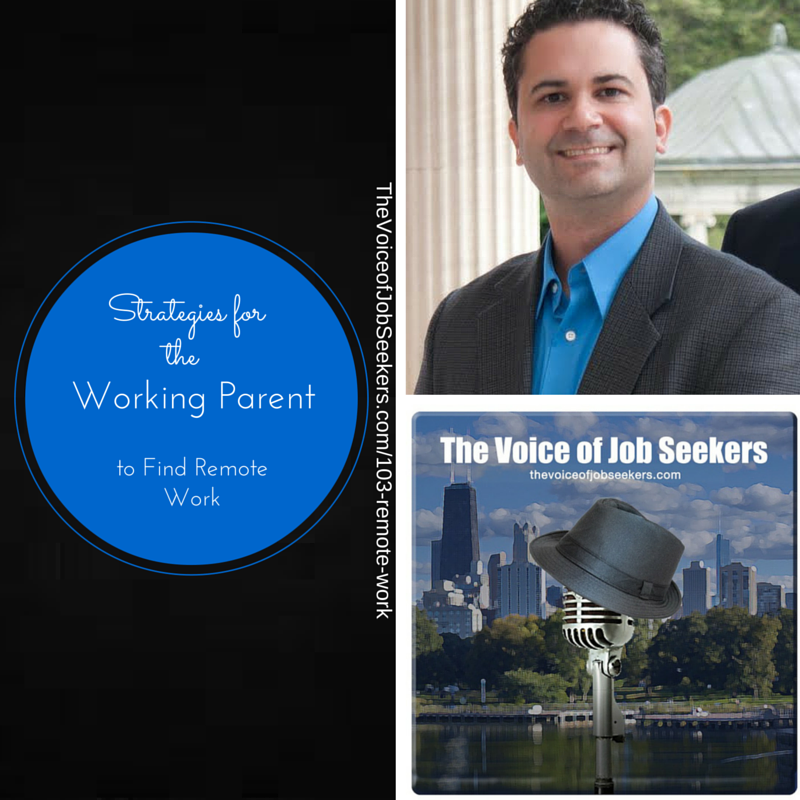 There are many studies that are pointing to remote careers as the norm not the exception over the next few years. There is a shift in the way companies are looking and planning to provide remote work opportunities for its current staff. I brought back Scott Behson, the author of The Working Dad’s Survival Guide: How to Succeed at Work and at Home, to further discuss how and where Fathers can search for opportunities, avoid a major common mistake, and remote work trends in the next few years. Those of you who are career professionals can receive the additional bonus by leaving your blog and I will link to it. Scott is an Associate Professor of Management at Farleigh Dickinson University. He has a doctorate in Organizational Studies, and blogs at Fathers Work and Family. He is a regular contributor to the Harvard Business Review, TIME, Wall Street Journal, Huffington Post, Good Men Project, and Salary.com. 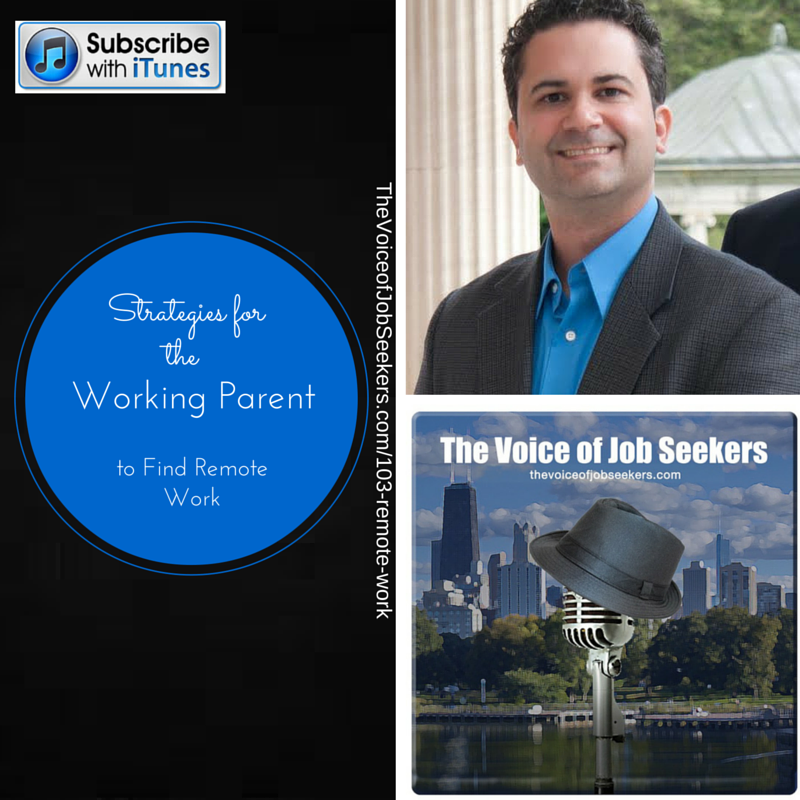 Be persistent when employers see a woman in a remote work roleHave you subscribed to this show on iTunes? If you haven’t, please do so. iTunes is a great place to write an honest review and increase the show’s visibility. Enjoy listening to the show. Let us know what you think.Do you need help with resume writing or career direction? Do you need coaching or instruction?I can help.Also, join our Linkedin community! You’ll enjoy some of the insights shared by community members and other career pros!